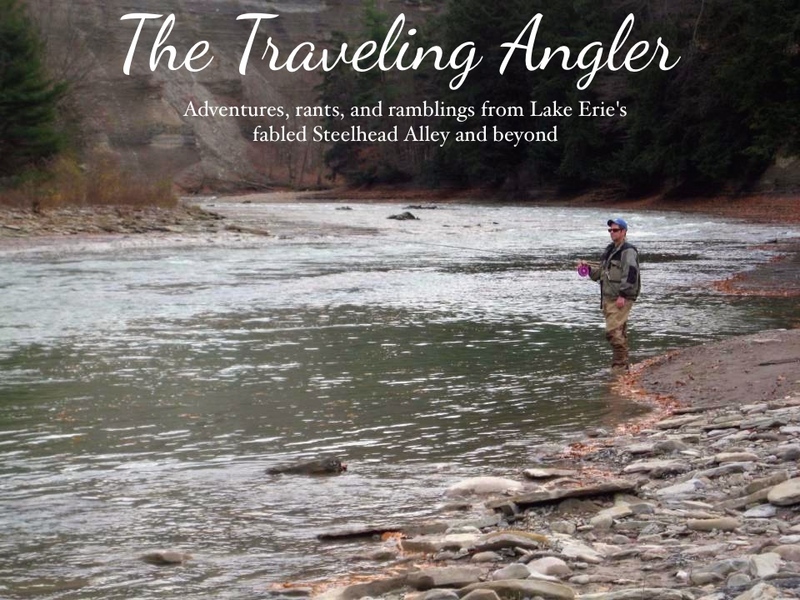 Traveling Angler: What???? The Grand is Fishing?!?! The wacky weather continues here in Steelhead Alley. It snowed, got really cold for a couple of days. Then the lower sections of the rivers and most of the prime pools got froze over. Then it started to warm up for the upcoming weekend. For the Grand, the window of opportunity was going to be opened briefly. The last time I fished the Grand was last mid November. The Grand is a large watershed and receives a lot of runoff. Usually the Grand takes about a week to come down to fishable levels. It’s frustrating to see the river come down in a teasing fashion only to have it rain and watch the flow gauge go up to 6000cfs. It’s been like that for nearly two months. I finally arrived at one my favorite spots, the cliffs along the Grand were covered in a blanket of snow. The river had a lot of side ice and several prime spots were covered by it. The surrounding forest was covered in snow. This is when I really appreciate the wonderful winter fishery we have here. The fishing was good during the morning. But during that time I noticed the water started to run over the side ice and snow on the cliffs started sliding down into the river. Then the window started closing as chunks of ice started heading downstream. It got to the point that it was as bad as fishing in slush. The float started getting banged around and the line would get caught up. I was on the water for seven hours and decided to pack it in. Later that evening, I watched the gauge on the Grand start its long march up. Later in the week we got more rain and the Grand briefly hit flood stage. I'm still trying to take a day off to do a float on Grand.........hopefully some day.